Moscow (AFP) - Russia's leading telecoms firm said Thursday it had agreed to pay $850 million to settle a US corruption case over huge bribes paid to the family of Uzbekistan's former president. 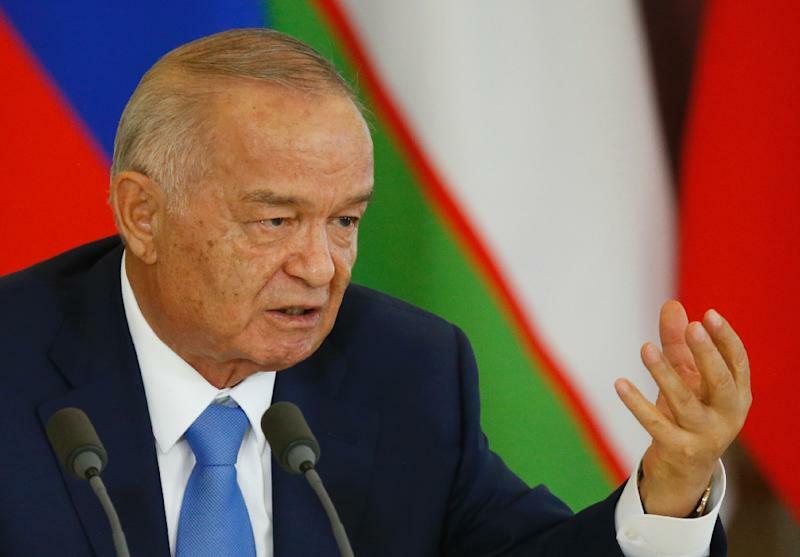 The case shed light on massive corruption in Uzbekistan under former president Islam Karimov, who ruled the ex-Soviet republic from 1990 until his death in 2016. MTS, based in Moscow and listed on the New York Stock Exchange, said the settlement had been agreed with the US Justice Department and the US Securities and Exchange Commission (SEC). The deals "mark the closure of the investigations into the company's acquisition and operation of its former subsidiary in Uzbekistan," MTS said in a statement. In agreeing to the fine "MTS affirmed its commitment" to complying with anti-corruption legislation, it said. MTS was in a long-running dispute with the Uzbek authorities, which seized the company's local subsidiary in 2012 after cancelling its operating licenses for alleged tax evasion. The Uzbek subsidiary, which had 9.5 million subscribers by the end of 2011, filed for bankruptcy in 2013. The SEC said that MTS had "bribed an Uzbek official" related to Karimov to obtain and retain business operations in Uzbekistan, a Central Asian nation of more than 32 million people. "The company engaged in egregious misconduct for nearly a decade, secretly funnelling hundreds of millions of dollars to a corrupt official," the SEC said in a statement. An investigation by the Organized Crime and Corruption Reporting Project previously said that the subsidiary, which was known as Uzdunrobita before it was acquired by MTS, had paid hundreds of millions of dollars to companies owned by Karimov's daughter Gulnara. The OCCRP, an NGO that works with investigative reporters mainly in Eastern Europe, alleged that MTS made payments in 2004 and 2007 to purchase stakes in the company. MTS was not the only telecoms company involved. "Karimova squeezed more than $1 billion worth of payments... out of international telecom-related companies," OCCRP said. Some commentators in Russia expressed dismay that the US was fining Russian companies for operations in third countries. "What concern does the US have about the faraway Uzbekistan and Russian operators?" said a journalist on BFM business radio, pointing out that "the money will go to the American budget, not the Uzbek one." Uzbekistan is led by Karimov's former prime minister Shavkat Mirziyoyev, who has moved to end the country's economic isolation and removed visa restrictions for travellers from European Union countries and the United States. Gulnara Karimova, once a high-profile diplomat and pop singer, was being held under house arrest after being convicted on fraud and money laundering charges in 2017 and sentenced to five years. Uzbek authorities this week said she had violated the terms of her house arrest and had been sent to prison where she would remain until the end of her sentence.